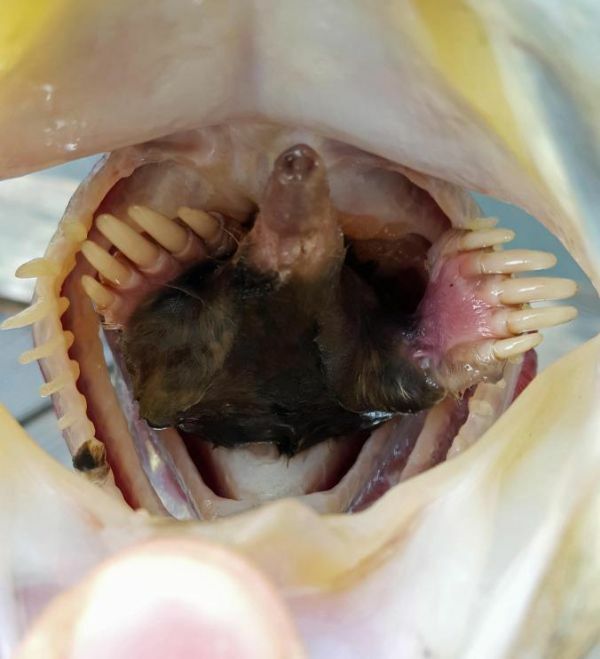 This 22-year-old angler from Fair Grove, Missouri, USA caught a big bass right from his parents' pond, and when he opened its mouth he found a big surprise. 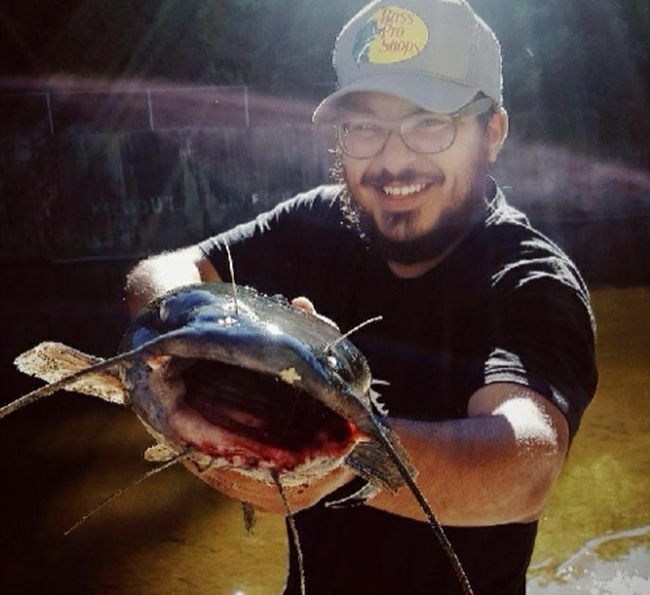 The top picture is a flathead catfish. The other two with the mole, though, appear to be a largemouth bass. Impressive claws. 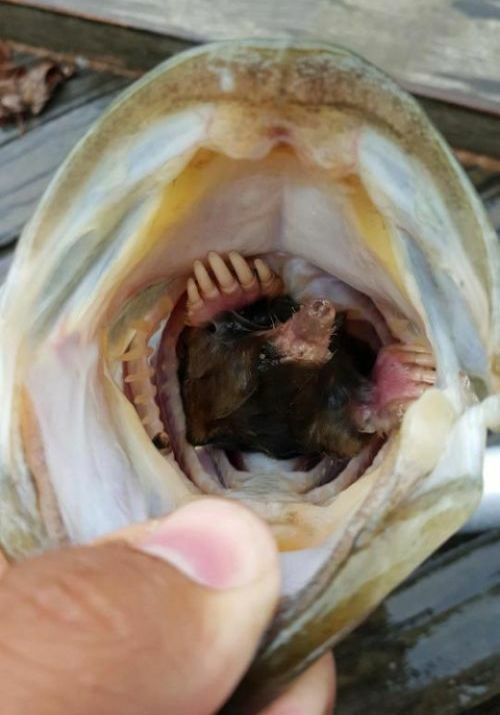 The mole must have picked a hell of a fight before being swallowed whole.